Large protests took place in Tokyo Sunday against the military legislation currently being debated in the upper house of Japan’s legislature or Diet. These demonstrations are a sign of widespread anti-war sentiment in Japan and opposition to Prime Minister Shinzo Abe’s backing of the US war drive against China. Tens of thousands of people took part in the Tokyo protest outside the Diet building, with organizers estimating the crowd at 120,000. Smaller rallies took place at around 200 locations throughout Japan. In Osaka, 25,000 people gathered to denounce the legislation and the Abe government. The legislation is comprised of two bills. One would allow the government to dispatch the Self-Defense Forces (SDF) without seeking the enactment of a special law or regular extensions in the Diet. 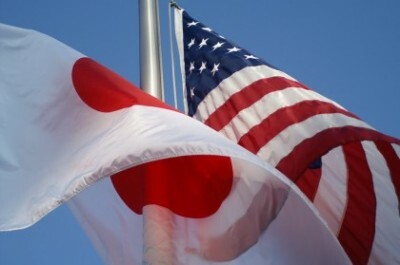 The other bill consists of 10 revisions to current laws that would permit Japan to provide military support for an ally, namely the United States. The legislation would allow Japan to join US-led wars, notably against China. The US has encouraged Tokyo to remilitarize as part of its “pivot to Asia”—a comprehensive strategy aimed at undermining Chinese influence throughout the region and militarily encircling China. The Abe government is using the opportunity to cast off post-World War II restrictions on its armed forces in order to aggressively pursue the interests of Japanese imperialism. However, the entire political establishment has lined up in one way or another with the aggressive stance taken by the US and its allies against China. While in power in 2012, the DPJ “nationalized” the disputed Senkaku/Diaoyu Islands in the East China Sea, provocatively antagonizing Beijing. At the time, the JCP criticized the DPJ for not more aggressively asserting Japan’s claims to the islands and blamed China for creating regional tensions. The anti-war protests have steadily grown in size in recent months since the military legislation passed in the lower house in May, and are attracting a broad cross-section of people. Elderly Japanese who still recall the horrors of World War II have joined the protests, along with young people and students who typically have been marginalized from politics in Japan. Another group, the Committee of Anti-War 1000, has gathered 1,650,000 signatures in opposition to the security legislation. Also prominent in the protests is Students Emergency Action for Liberal Democracy, or SEALD, which was formed in response to the state secrecy law passed in December 2013. A number of lawyers have criticized the military legislation as unconstitutional as it contravenes Article Nine of the country’s constitution which formally renounces war forever and declares that Japan will never maintain land, air and sea forces. Abe chose to “reinterpret” the constitution last year, knowing full well that an amendment, which requires the passage of a national referendum, would almost certainly be defeated. Recent polls indicated that around 60 percent of respondents were outright opposed to the security legislation while upward of 80 percent expressed concerns. The widespread hostility to the new security laws reflects the deep-rooted anti-war sentiment in Japan, particularly in the working class. In 1960, sustained mass protests erupted against the signing of a revised US-Japan Security Treaty, which allowed for the continued presence of US military bases in Japan indefinitely and committed Japan as a US military ally. The protests forced the cancellation of a planned visit to Japan by US President Eisenhower. At their height, the US military sent a helicopter to rescue the US ambassador, whose car was surrounded by protesters. While the treaty was finally ratified, Japanese Prime Minister Nobusuke Kishi felt compelled to resign. Following World War II, Kishi was initially held on suspicion of war crimes. He was an official of the Japanese puppet regime in Manchuria and a minister in the wartime cabinet of Prime Minister Hideki Tojo. Abe, who is Kishi’s grandson on the maternal side, has repeatedly declared his admiration for Kishi.